An important feature of the Admin Console and Chrome Device Management is the ability to organize and move devices using the Organizational Unit structure. 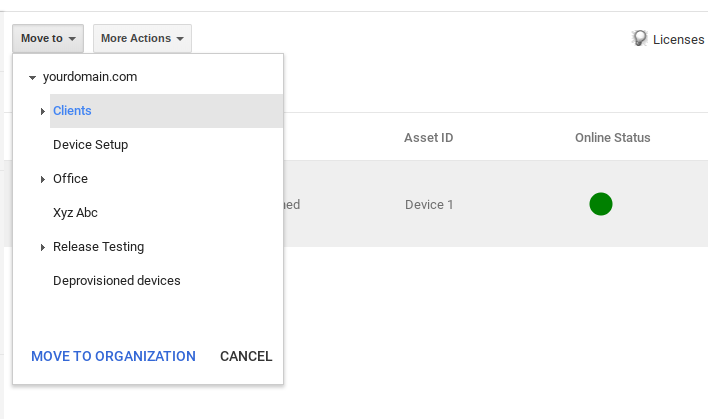 After logging in to your Admin console, go to Device Management > Chrome Devices. Click the checkbox next to the device you wish to move. Click the [Move to] drop-down box above the device listing and choose the Organizational Unit you wish to move the device to. Click [MOVE TO ORGANIZATION] once you have the correct OU selected. 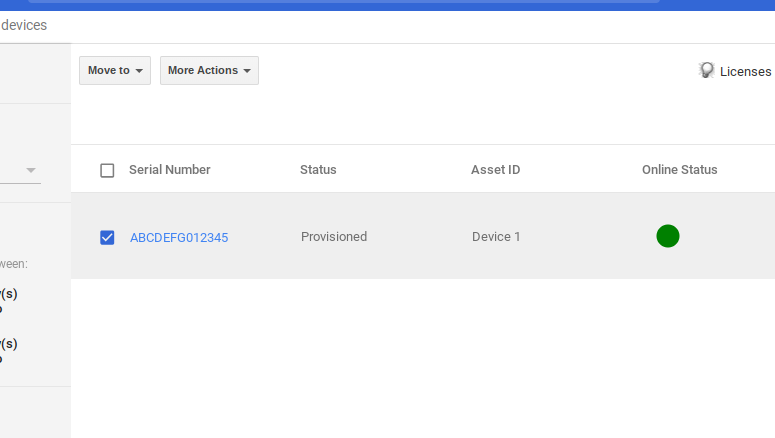 Please visit Getting started with Chrome Device Management for more information regarding Chrome Device Management.